Charles Aaron “Butch” Leighton, Sr.
complications of COPD and a brief battle with cancer. 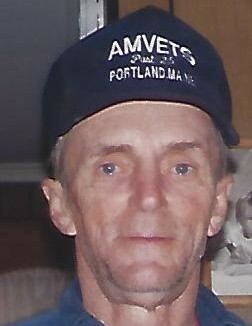 He was born in Portland on June 1, 1943 to Chester Sr. and Glenys (Jones) Leighton. through his last days, will be especially missed. James and two sisters Shirley Jones and Evelyn Kaelber. little feline buddy Seamus Murphy. thank-you to Charles’ good friend Russell Leo for his invaluable help during this difficult time. Visiting Hours will be held on Wednesday, April, 10, 2019 from 10:00 AM to 12:00 PM at A.T. Hutchins Funeral Home, 660 Brighton Avenue, in Portland. A funeral service will follow at the funeral home at 12:00 PM with Burial to follow in Forest City Cemetery in South Portland.